Young Gifted and Black: Don Cheadle & "Miles Ahead" seek to raise $325,000 for Miles Davis Biopic! 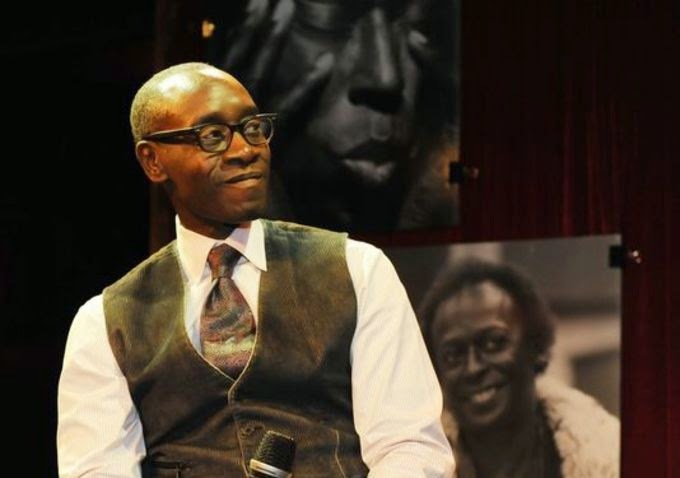 Don Cheadle & "Miles Ahead" seek to raise $325,000 for Miles Davis Biopic! We are eager to get the word out about our film and to build a community of people who are just as excited as we are about a Miles Davis movie,” said Don Cheadle in a statement. “While Miles used his horn to communicate and create "social music" we are using social media and today's online platforms to reach out to the music community, the film community and all people who are excited to see an explosive, cool music-filled movie. Miles Ahead is seeking to raise $325,000 on Indiegogo by July 6 to support the principal photography for the feature length film when it goes into production later this summer. Among the pledge prizes are rare Miles Davis posters, limited edition Miles Davis artwork, a coffee table book of Miles' artwork signed by Don Cheadle, as well as set visits and access to screenings.